Africa’s Western black rhino was officially declared extinct in 2011, according to the International Union for the Conservation of Nature (IUCN). The subspecies was last seen in 2006. The Northern white rhino is also “teetering on the edge of extinction,” and Asia’s Javan Rhino may not be far behind if strong measures are not taken to stem poaching and improve conservation measures. This news came after the IUCN conducted a review of 60,000 species of animals and plants in order to update the Red List of Threatened Species. The survey revealed that one quarter of all mammals are at risk of extinction, as are many plant species. And ocean fauna are not faring well either. IUCN reveals that five out of eight tuna species, an apex predator that is essential to a healthy marine ecosystem, are threatened or near threatened. Also essential natural service providers that form a crucial part of the food chain, 26 newly discovered amphibians are disappearing at an alarming rate. Well, some people try to safe the Rhinos in Africa, but with open borders, poor and hungry people living in the bushes they have a huge battle.It will stay a shame and disgrace. Wow, I am amazed at some of the uneducated comments, never mind atrocious spelling and lack of punctuation (Simba!!)! JOM... 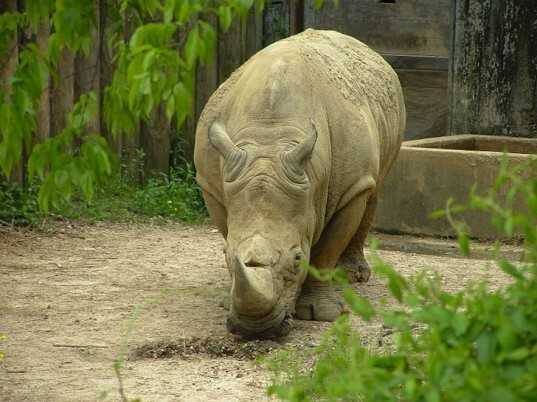 The Rhino is NOT going extinct because someone is eating it, it is going extinct because the Chinese f#ckers use the horn for aphrodisiac purposes, usually the carcass is just left behind to rot. SHAWN, yes we all know the Americans are better at EVERYTHING... instead of wanting to remove Rhino's from Africa, why don't you rather support our efforts here.... bloody big mouthed, arrogant Morons! Do you have any idea how vast this continent is and how difficult it is to patrol these extremely remote areas? Add to that the extreme poverty (because Black Africans are quite incapable of looking after themselves, they just lack the brains and education and rely on hand outs), which leads to the poaching, as they are hired by the Chinese who pay handsome prices for the Rhino Horn. And as some others commented, that article is quite old. A lot is being done to try to save all the Rhino species, but it is an expensive and difficult battle. The Kruger National Park alone requires massive amounts of man-power to patrol, but without financial support, it is virtually impossible to be everywhere all the time, never mind the rest of Africa... Rhinos are being bred in captivity, but this is not the ideal solutions, they require large spaces and are also notoriously slow breeders. So if you really want to help, contact the various Organisations who are hard at work and offer your time or money... you will find them on Google. this is is what i wrote! said and says humans watching watching and nobody don't fight against this cruel sick animals killers! all animals are endangered species and this sick idiots still killing killing killing and have stupid smile at pictures!!!!!! Now i am really pissed this cowards deserves death!!! humans fight only at virtual world here at pc FACEBOOK! come with us to stop this sick animals killers and this stupid laws! no animals no humans! and this black rhino don't killed poachers only! what don't kill poacher this kill trophy hunters! Saddening. All because there are end consumers willing to shell out big money for the horn. Worst part is that they can take the horn without killing the animal (not that even that should be happening). somebody said that the only way to protect an animal species from extinction is to eat it. now i guess he is wrong. no, the problem with people is they are just stupid, selfish and obsessed with getting bigger, harder, more "fertile"... like AS IF we need more humans... what will those men do now that they can't get their rhino horn? how about hair/fingernail sandwich? The trouble with people is that we are ignorant of things around us. People don't look at a product and see the manufacturing involved and the plants harvested. Curing this individualism will fix the problem of greed and destruction. Man himself is the worst enemy of mankind and mother nature at large. Nature has enough food and resources to meet every living beings need but not enough for mans greed! A new era will usher in when this extra hunger is gone! It\\\'s not "news" since that press release has been published in 2011. Tragic ! hate reading news like this . Thanks for the article . 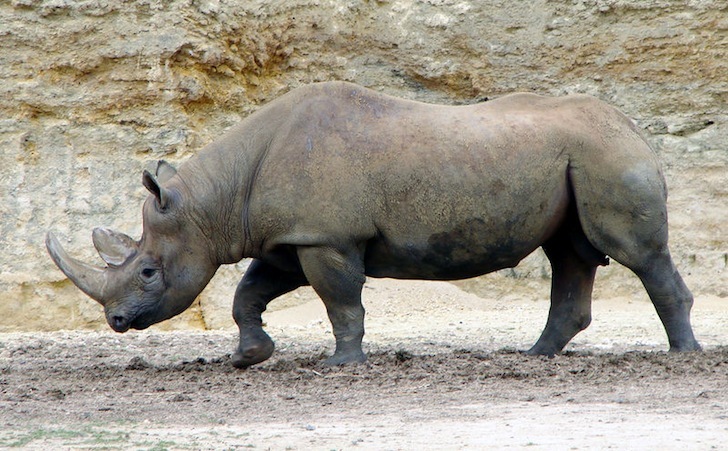 Africa's Western black rhino was officially declared extinct in 2011, according to the International Union for the Conservation of Nature (IUCN). The subspecies was last seen in 2006. The Northern white rhino is also "teetering on the edge of extinction," and Asia's Javan Rhino may not be far behind if strong measures are not taken to stem poaching and improve conservation measures. This news came after the IUCN conducted a review of 60,000 species of animals and plants in order to update the Red List of Threatened Species.